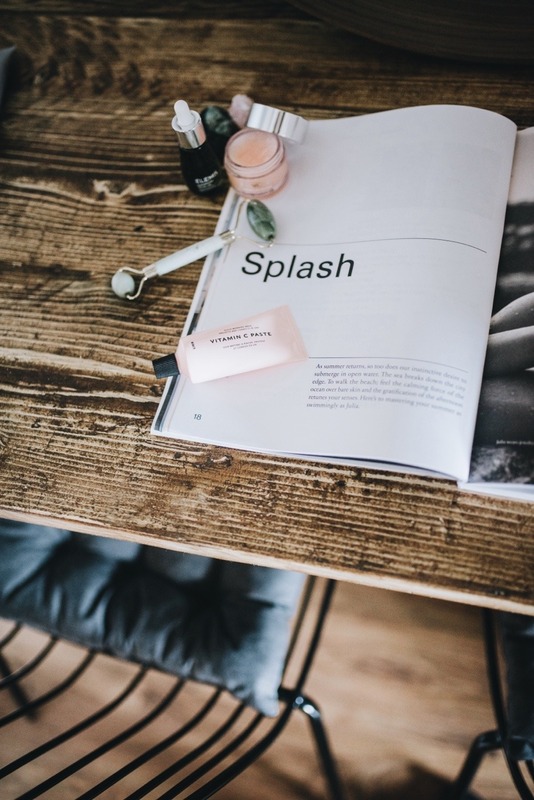 LixirSkin | Vitamin C Paste – LixirSkin are another brand that are having a moment on social media recently, and are so much more than aesthetically pleasing packaging in my opinion. I love this because it’s one of those quick fix products that anyone can incorporate – it’s essentially a little face mask that you leave on for a couple of minutes before washing off with a clean flannel/muslin cloth. My skin immediately feels more even toned after using this, making it one of those addictive products that I naturally reach for each morning. Clinique | Moisture Surge – This is a product I picked up recently after trying it out in Boots and immediately becoming a fan. It was the cooling/gel formula that sucked me in – I wanted something light for daytime use now that the weather is warming up, and this baby promises to hydrate for a whopping 72 hours. I bought the smaller version so that I could leave it in my make up bag for some upcoming trips – it’s the perfect priming base for everyday! It contains Hyaluronic Acid, and leaves my skin feeling soothed and plump. 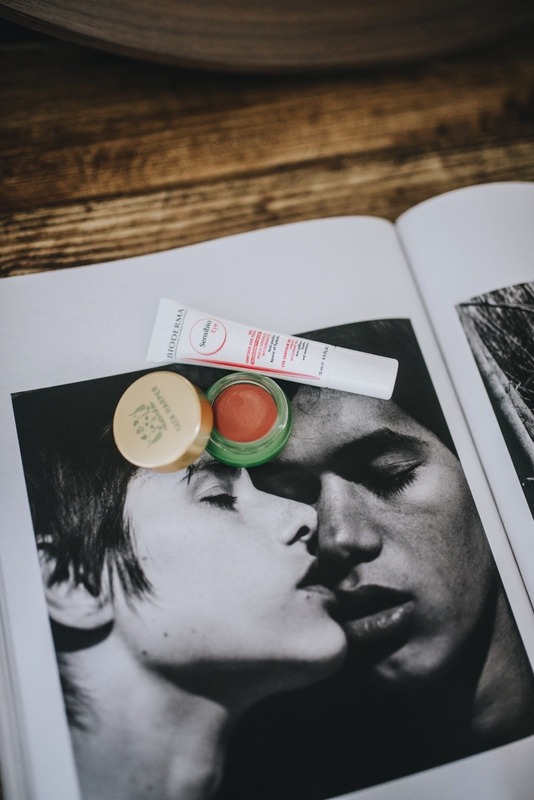 Tata Harper | Lip & Cheek Tint In ‘Very Popular’ – I get a lot of questions about the lip colours I like to wear, and this little pot has been my go-to as of late. I love anything that’s fuss free that I can apply with my fingers, and this colour is perfect for a rosy glow. I dab it on my lips with a bit of lip balm on top, and then pat any access onto my cheeks to bring the look together. Again, it’s perfect for travelling if you’re conscious of luggage allowance, and it’s also made from an all natural, vegan formula. 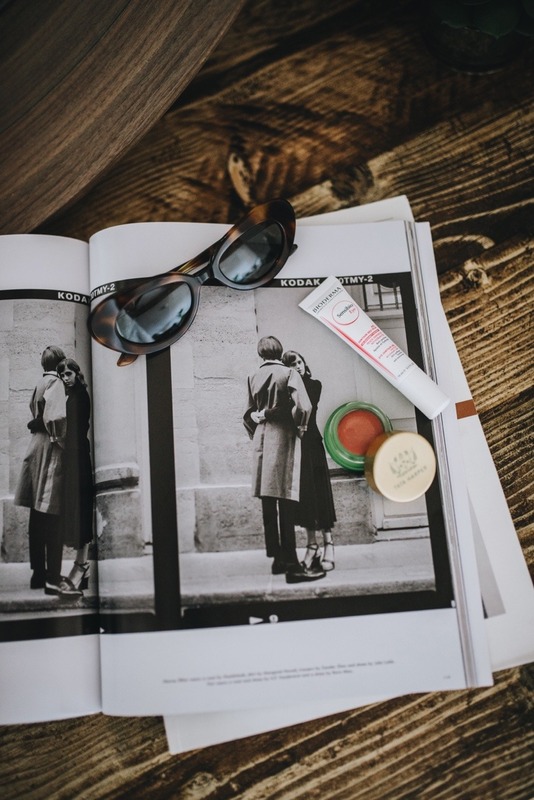 Bioderma | Sensiblo Eye Contour Gel – I’m a big fan of Bioderma in general, and they have kindly sent me the odd little package of products to try out over the last couple of years. I love this little eye product for when my eyes are feeling sensitive – it doesn’t irritate them or make them watery. It’s a really light cream that doesn’t compromise on hydration and smoothing fine lines. I like to use this one in the morning and then use a slightly thicker eye cream before I sleep. 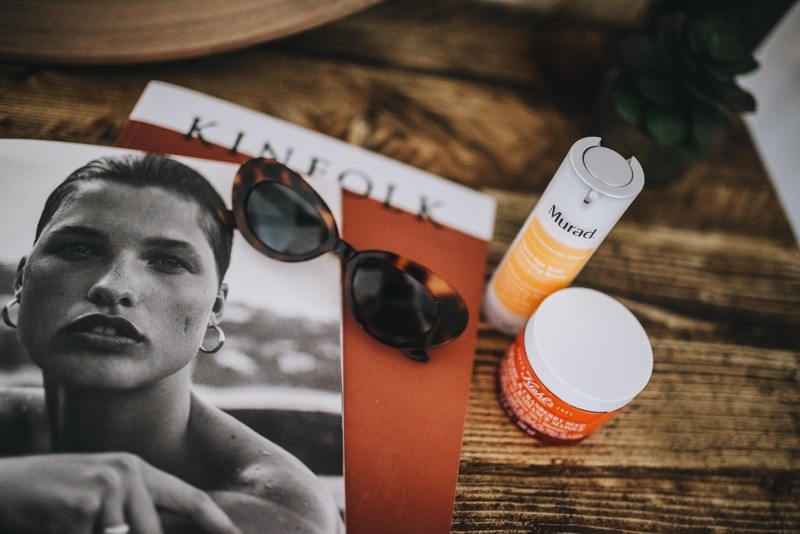 Murad | Rapid Age Spot Correcting Serum – I’m all about the damage/age rewinding products at the moment, and a serum is a great way to add an extra layer of skincare magic. 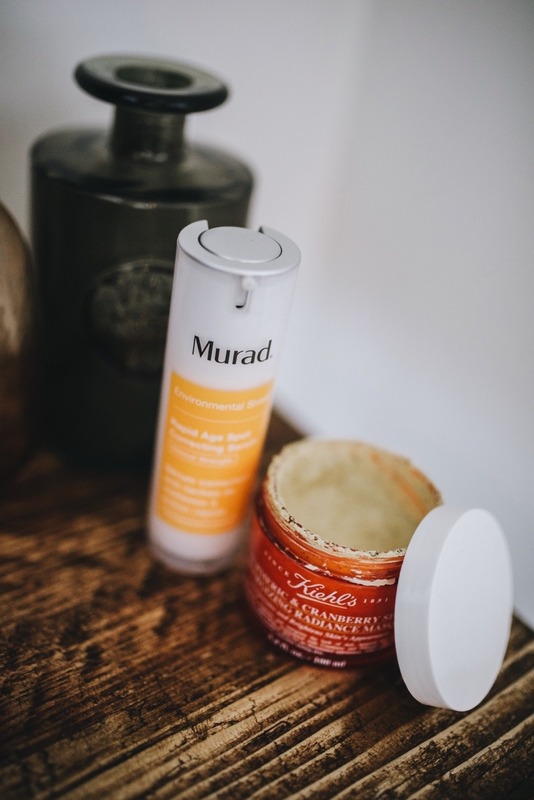 I love Murad products in general, so I knew this serum would be right up my street – I just layer it underneath my moisturiser in the morning, and it has a wonderful orangey scent that perks up my tired senses. It’s definitely been helping to brighten my overall skin tone, and it also contains Vitamin C, an ingredient that I’m more conscious of including into my routine these days. Vitamin C is great for keeping the skin looking youthful, and it’s also said to help protect the skin from environmental damage. Kiehls | Tumeric & Cranberry Seed Radiance Mask – I’ve featured this item heavily over on my Instagram stories, and it’s a mask that I’ve been using religiously since it came into my life last year. 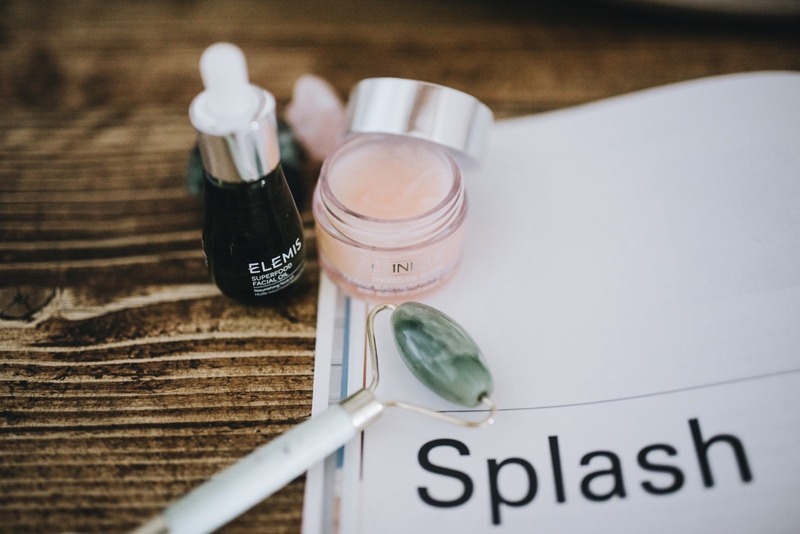 It’s a great quick fix if you don’t have the time to sit with a mask on for more than five minutes – it dries super fast, and leaves the skin looking brighter and smoother than before use. The smell isn’t the greatest with this one, it smells very natural, but to me, that’s the sign of a great face mask that’s about to do some good. 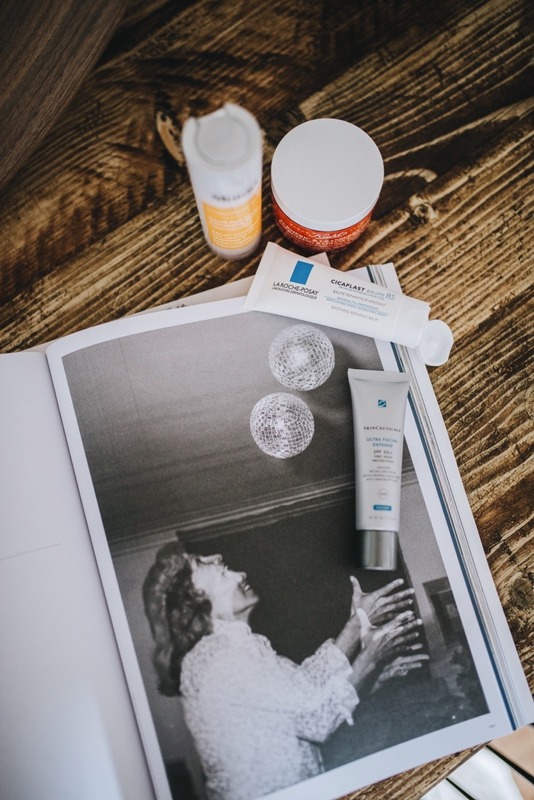 La Roche-Posay | Cicaplast B5 Repairing Balm – I picked this up a few weeks ago after hearing good things, and now I won’t be without this magical stuff. It’s a really thick cream consistency, and can be applied on the body, face, and lips. I guess it’s similar to the Elizabeth Arden Eight Hour Cream, but with a bit of of extra science behind it. This one is perfect if you have sensitive skin – I’ve loved using it on any dry patches, and especially as a hand cream throughout the day. It’s helping to get rid of my winter skin, and rejuvenate it for the warmer months ahead. Oh yes, I see some of my personal favourites here too! This Kiehl’s mask is my absolute favourite – such a good one! Love the look of the Tarta pot, such a beautiful colour for Spring.